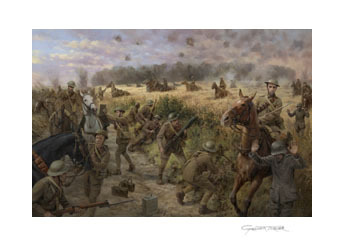 This painting is also available reproduced on good quality canvas, individually printed before being stretched on wooden stretcher bars - just like the original oil painting - and then varnished for protection. 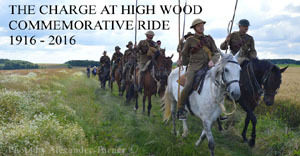 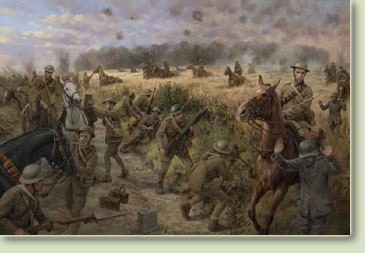 CLICK HERE, to discover the story behind the painting 'The Charge at High Wood', and how the original was commissioned by the grandson of one of the brave men who took part. 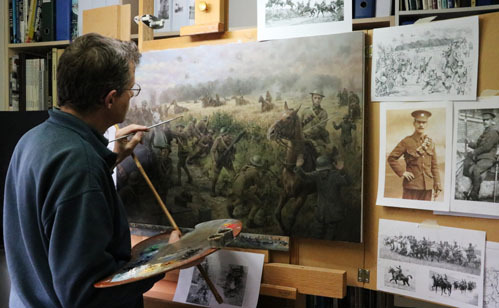 Also learn how the painting was created, with stage-by-stage photos following progress as it evolved from a blank canvas.